How to Analyze the Google Competition for 5 Example Keywords: Coaching Call 3 for NSP 2! 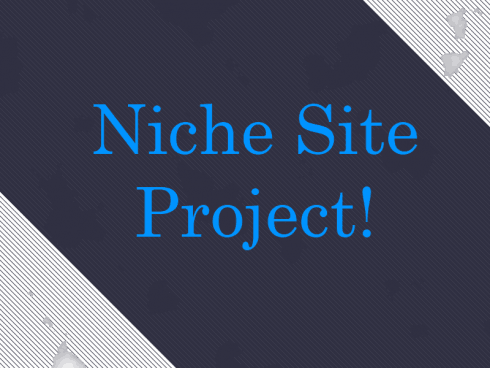 Perrin and I are continuing to move forward with Niche Site Project 2! In my post last week, I reviewed several good and bad keywords to target. The response from that post was overwhelmingly positive. So, if you enjoyed that post, you may even enjoy this one even more. 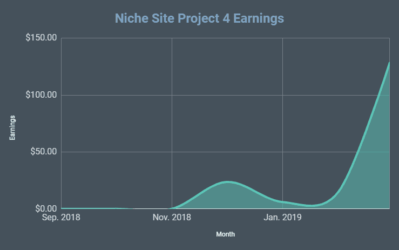 I was able to get on a call with Perrin late last week and review his progress and specifically analyze 5 different keywords that he thought might be good targets for a niche site. This discussion that we were able to have surrounding these keywords and other topics is HIGHLY valuable in my opinion. Perrin is really honing his skills and focusing on what makes a keyword truly low competition…and he's getting pretty good at it in my opinion! The most critical aspect of building a niche site, really is the keyword research. For that reason, I am purposely spending a few weeks on this. Too many people make the mistake of choosing poor keywords to target, so I hope this video can help prevent more of that from happening. Specifically, people often don't really know how to analyze the top 10 results in Google for competition level. That's what this video is really all about. A different strategy discussion – Targeting a general niche, rather than just 1 primary keyword. Assignment: Find a winning keyword in the next 7 days! You can watch our coaching call on YouTube below; or click on the link below for a higher quality version (recommended) of the call. Watch a High Quality Version of the Video Right Here! Three weeks down, 20 to go! I feel like my whole life is keyword research right now. I’m just a slave to Long Tail Pro. I might even be overdoing it, but there’s this weird pressure to find the perfect keyword. I feel kind of like Jafar venturing into the Cave of Wonders (although not quite as evil)… I just know there’s a treasure in there, and I’m so captivated by all the shiny things, I can’t escape! Before we get into what I did this week, let’s quickly recap the keyword research process so far. First, I came up with a list of about 100 seed keywords. I narrowed those down to a list of about 20 seed keywords that interested me and I thought I might be able to write a bunch of articles about. Then, I plugged those keywords into Long Tail Pro. In my first round of research, I totally missed the mark; only about two of the 10 keywords I found were usable. So I gave it another go. The second round went much better, since I was able to correct some of my mistakes, and I ended up with a few more useable keywords. That’s a good lesson, by the way: you really only have to learn keyword research once. Every time you correct a mistake you get better at it; you refine your process. There aren’t very many anomalies out there, and if you do happen to come across a strange-looking keyword you’re not sure about, just avoid it. But the profile of a good keyword doesn’t change much. When you figure out how to spot them, the process becomes a lot easier and much more efficient. So, for those of you following along, don’t be bummed out if you’re frustrated with this portion. We only have to learn it once. It was pretty fun this time! I feel like I have a much stronger understanding of this part of the process, so I felt a lot less like a noob and a lot more like a professional. This might not seem like a big deal, but I think it is. Mindset counts for a lot, you know? When you’re new at something, it’s really easy to feel overwhelmed and demotivated (and I have!). But there’s a point at which you start to understand what you are doing. And when you get over that hump, when you start to feel like a professional, it becomes much easier to problem-solve instead of treading water. Obviously, I’m no expert, but I do feel like I’m getting the hang of this keyword research business – at the very least, it’s getting a bit easier for me to solve problems on the fly. So, this week, I was also being a lot more meticulous (not to mention a lot pickier). I was searching for keywords with at least 4,000 monthly searches or tons of opportunity within the niche. I went through a lot more seed keywords, but it took less time, probably because I’m finding my stride. I ended up finding five more keywords, which we’ll look at on this call. Two of them are kind of silly, but they might actually make great informational sites (I mean, hey: one of our beloved niche site masters has built sites around some pretty weird keywords, after all – anyone remember buffalo nickels and worm farms?). Plus, I have the feeling a few may be real winners. I suppose there’s only one way to find out! Were there any surprises/revelations in your keyword researching learning process? What’s something you learned that you’ve now put into the ol’ SEO toolbox? Was there anything you had to learn the hard way? As you can tell from the video, Perrin found some great keywords to go after. However, because we've already shared those on video, we may try to find a different one to actually build a site on. We are being pretty picky, mainly because this project is so public. For you following along, you actually have an advantage, because you don't have to worry as much about people copying your every move. So, the assignment for everyone following along is to find a winning keyword in the next 7 days! I know many of you already have, but for the rest of you…let's do this! I look forward to hearing your thoughts or questions that you might. I really feel like Perrin has made HUGE strides in his keyword research abilities, and I'm confident that we will find a stellar keyword. Drop a comment or 2, and lets discuss! No matter how right you get it from the beginning, Google is the judge and will tell you if your site deserves to be on top or not. For me, 8 out of 10 sites, I usually rank page #1 within weeks. I build sites on products not information though. *** often I target keywords that aren’t shown with LTP or any other keyword research tool. I watch TV shows such as Oprah or Dr. Oz, and they often advertise new products. That’s a super interesting strategy. I wonder, though: do you feel like you run the risk of creating sites that aren’t “evergreen”? No worries! I just means something that stands the test of time. So, for example, a new product may not be relevant a year from now. I know someone else who relies on Oprah, Dr. Phil and Dr. Oz. His techniques is to advertise on Facebook, targeting the ads to only those people who indicate they are fans of these shows. These people have already seen these products on their favorite TV show, so they are pre-sold on the product because it was presented in a positive way. That’s a really nice strategy man!!! You just gave me an idea (not your strategy, but based on it) on some great keywords. For the ferrets as pets, I think that’s a risky one and I don’t see the monetization in it. You know, I actually looked at ‘best paintball gun’ as a potential keyword earlier this week and I really liked it. Honestly I hadn’t ruled it out yet. I do agree that if you build a site on this keyword, you may find yourself sitting around on the bottom half for a while, but I feel that with the right content and the right links, you can burst through to #1 or 2. The best hybrid bikes one is a great one. Like Perin said I feel that you can come up with virtually unlimited content for that one. In time, I see no reason why someone can’t break into the top spots for that and then start ranking for long tail keywords. Overall, I think Perrin is doing a great job! Do you have your own mini site as well, or are you still doing your keyword research? Nice work Perrin. I’m following along closely as I get ready to launch my next website. I can’t wait for the next coaching call which is choosing the winning keyword, I am looking forward to it. Enjoyed the video. I find I tend to loose interest in niches unless there something I’m semi interested in. Interesting to see on your survival knife site that you outsourced a lot of your articles. 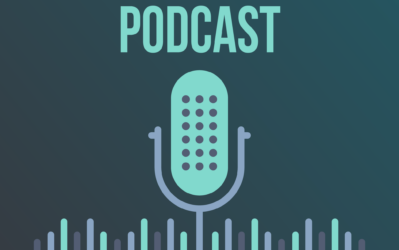 Its a good way to go to produce quality content by finding somebody genuinely knowledgeable about the subject on the site. Keep up the good work and love the podcasts! In my keyword research I am comming up with a lot of Pinterest sites that can be as little as 6 months old in the top 10. No juice links, no links at all, young site ,a page authority of 1, a page rank of 1. The DA it 100 and the KC is 48. Regarding Page Links and Juice Page Links…. From your survival knife site – and the attempted attack from someone who created lots of spam links – I noticed that MOZ not only noticed the spam links (and thus they appeared Long Tail Platinum) but also many of them were counted by MOZ as juice page links – bogus! I wonder if Google is also fooled – but I think not so much. 1. How exactly did they get those links? 2. Is Google also counting many of them as links that pass page rank (juice links)? Google has a large number of excellent programmers, a dedicated spam team and years of experience. MOZ currently reports that bestsurvivalknifeguide.com has 6269 links and 5749 juice page links. I don’t think Google is fooled. 3. Do you think it’s safe to assume that in most cases these links were produced using automated software and that Google is smart enough to ignore most or all of these so-called juice links – so we can safely discount their value and assume the site really does not have many juice links at all – at least not many that Google is counting as passing page rank? That’s a tough call. Perhaps that is sometimes the case, that certain links can be ignored. But the only way to know for sure is to actually look at the links to determine if they are spammy or not. Cool, I can’t wait for the next coaching call. Hi Guys, awesome post -many thanks. I have fed so many keywords in and was getting very depressed at not finding anything but I think I’m now beginning to understand where I’m going wrong! Soooo my task for this week is to go back over my words again with what I’ve learned tonight and dig a bit deeper to see if I can hit gold! Just please don’t have picked whatever I find this week! Look forward to next weeks instalment! Get it right, and you’re half way ahead competitors. That’s what Spencer and Perrin is emphasizing here. Thanks, John – encouragement is always welcome!! Definitely, keyword research may time consuming and need to brainstorm the idea but once you find a winning keyword, you are good to go build niche site. Let’s go hunt good keyword! Regarding the initial Campaign settings in LTP…. I tried a Campaign using “bikes” as the seed kw, filtering for 4,000 searches a month and $1.00 CPC. That left me with 741 out of 801 keywords filtered out – so I had a list of about 60 keywords to work with. If this was a keyword I was really researching, I would next click the Calculate button for all 60 keywords, sort on this value, and click on the keywords with a KC of 35 or less to further investigate them. In general, is this a good way to use LTP? To start, this lines up pretty well with my own process, which I learned from Spencer. However, don’t stop there! If a keyword looks good (according to the KC metric), click on it and look at each website in the top 10 — it’s like 3 minutes worth of work, but arguably the most important part. Wait! Don’t calculate all 60 keywords! Just the ones that look good to you. If you aren’t sure, then calculate. But you really don’t need to calculate keywords like “good nutrition” or “credit repair”; you know those are competitive without looking, probably. I usually hunt for money keywords/product reviews/best products, etc. Did any of you guys had similar results? Spencer, did your knife site or other blogs make you money even though there weren’t ranked on the first page? Thought I’d throw my experience in as an answer for you as well. I have an Amazon based site that is down at around #14 for a competitive term and do also receive a good chunk of monthly sales. The particular keyword does have an exact search volume of just over 28k which is how I’m able to still get that bit of traffic that converts. Also, In one of Spencers initial posts about the niche site he did mention a few sales were made while still working his way to the front page. Well, good luck anyway! I’m following this project with great interest. I think you can still do very well in that niche, however. And it helps to know we’re both on the right track! This is awesome! This video is EXACTLY the post I was waiting for. I love Long Tail Pro, but I’m not always certain how to analyze the results. Someone last week requested many more of these types of tutorials, and I think that is an *excellent* idea. Do you think you could compile a list of “weak” types of sites? For the keywords I’m interested in, I come across the following sites very often: WiseGeek, Wikipedia, eHow, Yahoo Voices (not Yahoo Answers), and a few media sites (Huffington Post and chron.com, which I think is the Houston Chronicle). Can you give me a quick yes/no on which of these sites are beatable? Thank you, Spencer! And good luck, Perrin! The answer is that all of those sites depend on the result. I think just more examples and experience is the way to address all those sites. Great Post Spencer! The information is very helpful! I had a question about the eCommerce sites, when it comes to Google competition. When you say eCommerce sites are generally harder to rank against, I’m wondering if you are only referring to the sites which have been established for a long time and have relatively old domains? like Amazon.com? Or are you referring to all eCommerce sites in general regardless of how old, established popular they are. No, I’m really referring to an entire page 1 results that are all or mostly ecommerce sites. I just view the entire first page as difficult to rank. Doesn’t necessarily matter if its Amazon or a “small” ecommerce site. When ALL the top 10 results are ecommerce sites, Google wants to rank ecommerce sites – so if you don’t have an eCommerce site, avoid that. 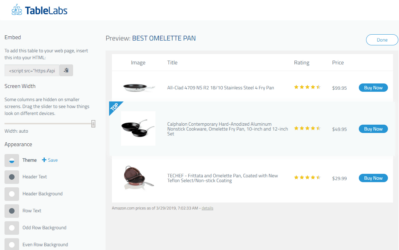 Quick question – how does Google determine if YOUR site is an ecommerce site? For example, your review site could be a drop-ship site which is an eCommerce site, right? After watching the video it confirmed the niche I am going to go after. It also shows me there a plenty of niches still out there to go after in the future. Time to go get a new domain and continue to flesh out material for the static home page. I think I may have chosen the wrong keyword? HELP!! Not sure. Perhaps you have too much keyword anchor text? Almost sounds like a penguin penalty. I had a very similar thing happen with a site. My homepage was about 2,000 words, and I had used my four-word keyword phrase about 20 times. Even though it was only about a 1% keyword density, I think Google had penalized me for keyword stuffing. I changed the page and used the phrase five times, and about a month later the site went from 500+ to about 60. I’ve read that if you’re ranking 500+ in Google, but ranking decently in Yahoo and Bing, that your site has probably tripped a Google algorithm somehow and you’re suffering a penalty. Thank you so much for this! I am now following along and catching up quickly. Read any good books lately, Spencer? You had a goal about reading books this year. When you’re sick it’s a good time to catch up on reading! Yep, I’m still reading my 1 book per month…still on target for my goal! I had an Amazon site in the watch niche and believe me, it doesn’t convert well. Obviously, It didn’t have the kind of traffic that Spencer is seeing with his survival knife site but you might want to consider watching out for poorly converting niches. Great!! Another awesome post and video. I learn actually how to analyse a keyword and the competitiveness of top 10 websites from your video. It is really useful since I can really understand the process from real examples. And I want to tell my good news to you, Spencer. After 2 months hard work, my own niche site finally ranks within 500, it ranks at 267. Although it is still not a good position, it is a big step for me. (you know my site sat at 500+ for the last 2 months already). Since the ranking of my site climb up so slow, I would like to ask is it the problem of my location? In fact, I’m not located in US, I’m located in Hong Kong, will it affect the ranking of my site? I remind myself to focus 80% of my time on keyword research. This is the core essential and what Spencer is touting. Overlook this aspect, and you’ll work hard for the money, and get little to nothing. It shouldn’t matter where you are located. I just build my first English website targeting the USA and I have my domainname registered at a Dutch company. I use Bluehost for my hosting. Will this influence my ranking like Jenda is saying? I have set in google webmaster tools that I am targeting the USA. Nope, you should be fine. It shouldn’t matter where you are located but it matter when your website is located (server location). Matt Cutts said it in one of GWT’s video. Why wasn’t here more emphasis on domains and sub-domains in the URLs which is a criteria emphasized in the classrooms. Yikes, I must have missed the last few posts. Great coaching call, Spencer and Perrin! 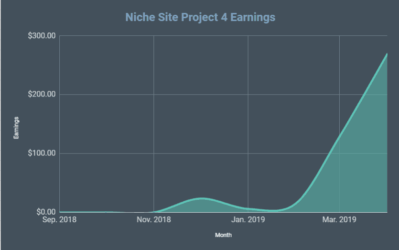 I started reading Spencer’s great blog right after he posted his second monthly income report for his first public niche site project. I learned a lot from Spencer and since then spent more than 30 hours on keyword research. “Best paintball gun” and “best smoothie blender” are actually in my list from 2 months ago. Good job to Perrin as a newbie on keyword research! I just hit $100 profit for the first month in September with over 200 unique visitors daily to my first niche site, so I am super confident with what Spencer is teaching and think the authority site approach is going to be even better for future development. Guys, let’s go big and build an authority site competing with Jon Hover’s authority site. (BTW, Jon is my favorite too.) 2 sites like that can provide a comfort retirement life. That’s awesome to hear! Congrats on your $100/mo in the first month. Still beats my $18,50 total that I’ve made! Ha. Thank you for your nice words. You are doing great, Perrin! Keep up your great work! I personally use Excel to keep track of details for all the keyword I found. By watching this coaching call, I reconfirmed that I checked everything I need to check while doing keyword research. The last part of the video is really exciting to me. I could not go to sleep last night as I was thinking this “big idea” over and over. I already got 5 potential authority site ideas in my mind. Thank you for all the details you are sharing, Spencer. I think the best thing I did this year was to link to your blog from Pat Flynn’s Smart Passive Income. I spent at least 200 hours on reading your posts. I read your all the posts from you “best survival knife” project for 3 times! Is that your first niche site? Do you have others as well? How do you monetize it, Amazon? *** Spencer, maybe you could get him share his success story next month for NichePursuits readers, what do you think? Awesome JOB Sibo! Keep it up. Thank you for your nice words, John. This is my second niche site. First one was a failure (before I read Spencer’s golden posts). I have 5 others niche sites on going, but none of the others getting more than 20 unique visitors per day yet, however I believe most of them have potentials. I use Adsense and Amazon to monetize my site at the moment, but will try other methods soon. I have experience with drop shipping (I haven been selling on eBay for more than 2 years by using drop shipping), so eventually I will use drop shipping to maximize my profit one day! If his main keyword is cheap bikes and he created additional posts about different models, brands etc. Should he rank each post individually or still try to go after ranking “cheap bikes” on his homepage? He should do both. Not sure if I’m understanding your question, but he should definitely try to rank his homepage for “cheap bikes” and then each post he should try to rank individually for its different keywords (targeting models, brands, other keywords, etc). So I think that might be what I am facing. The site is about 5-6 weeks old with 20 posts and a frontpage article with about 2500 works I used the main keyword about 20 times. I am starting my back linking and trying to link to the front page once, one category page and one post. All using variations of the appropriate keyword for each. Currently have 300+ links to URL with 13 unique domains. Starting to see some increase in page rankings. However I am still bouncing around at 120 avg position according to google Analytics. Any thoughts on next steps other than continue link building using variations of anchor texts? Great video guys with awesome useful and clarifying information. Spencer I have a question regarding setting titles and descriptions. In the niche website theme there is a place to set the Page/Post title, keywords, and descriptions. In the all in one seo plugin there is the same fields and in wordpress settings there is a place for title and description. Do you fill out all of these fields, such as all the title, description, and keywords fields for the theme,all in one seo plugin, and wp settings? Or do you fill out those for the theme only? Or the All in one seo fields only? I ask because I have been filling out all of them and was wondering if it is possible to get a over optimization penalty from this. I hope this questions is understandable and Thank you for all that you do! That’s a good question and one I’d love to know the answer too also I know it’s a bit ahead of where we are at in this niche pursuit but would be good to hear Spencer’s thoughts. I fill it out in the All in One SEO plugin only. Alright very good. I thought one place should suffice. I appreciate your answer and wish you both luck with this niche site project. I’m looking forward to the next few posts as they have been very informative so far. This post was interesting because I know someone who is in the road bike niche 🙂 ! Perrin is doing a great job! This would actually be a super-helpful video—exactly what you do on the back end. How you format AIO-SEO, WordPress, all that. Great work. I like the Bikes niche and the Watches niche.. Shame you found them 🙂 None of my sites shwoed. Watches are one of those luxury items with lots of high priced related item. Like 8 way watch winders !!! Hi Spencers, Recently, I’ve found great keywords but I was little bit confused because I can’t figure out exactly which keyword should I make my primary keyword. But with the general niche idea, my problem is solved. So, I am now going after a general keyword and targeting other potential keywords as secondary keyword, as we’ve seen in Dave cheap bikes site. This is by far the best content for me since I have been following you for about month now :). I am sure there plenty of good content on here. FYI, I am actually following you guys to building my 3rd niche site. Opened a lot of eyes to niche marketing guys. Thanks for having this. Great content Perrin and Spencer! “I feel like I am somewhat part of this”. At 4:52 Perrin refers to the “include and exclude” feature of LTP (for weeding out certain words when he looks for keywords). I must be blind but I do not see that feature in LTP Platinum. Am I missing something? After you input a seed keyword, then you hover over the word…its there. Great job Perrin. I’m not surprised you’re spending so much time on keyword research. It can be such a make or break element of a successful niche website and SEO. By excluding this high converting keyword from your research you can miss lots of opportunities. It’s true that most keywords with “for sale” term is dominated by e-commerce websites. But maybe your golden keyword is in that small batch of “for sale” keywords that doesn’t have e-commerce results. I agree, and I hope no one took this as a reason to exclude all “for sale” terms. Its a great buying term. First off I wanted to say thank you for the course and information you are presenting. I come from a buyer and seller of domains with a extreme minor in developing names. It’s quite interesting to see the other side of the coin from people and folks who research and develop. I spend many hours daily looking for keywords, niches, trends and much more to register the domain. At any rate sorry for running on I wanted to ask you a few questions. How do you feel about laser targeted domains? Do you have any input on say “HowTo” type domains? I’m watching the series very closely as it may bridge the gap I have from domains to development. Well I just wanted to pop in and say thank you for providing this information and please keep up the good work! Sure, I’ve talked about EMDs alot (targeted domains). How to type domains work well too. Unlike a lot of what is written about keyword research, this project is fresh and really educational; it provides a great case study that people can revisit over and over again. The “real-time” nature of it is unique. I look forward to each post. Glad you’re enjoying it, Glenys! Hey, great infos here about analyzing the competition, after reading all posts about that I realize all my 500 websites doesn’t fit this analyse. I’m in hotel reservation niche and after the emd update (my websites have like 6 pages) I’m only on Y and B. Great! Thank you for the video! I have a question: it is possible to rank a site when there is only short text to write (after you have found the right keyword, obviously)? On a flash game site, for example, there is little to write apart games descriptions/instructions. How could be possible to rank for the right keyword when there is no article to write? Only link building? When you have a strong homepage and you link to a page some linkjuice (power?) will go to that page right? If you link multiple times on one page to the same page will it gain extra power? Or is it better to nofollow the other links (only 1 follow) so all the links on the homepage get an amount of the linkjuice/power? I like the idea of multiple secondary keywords. I will try and implement that on my website. So it’s a good thing to link to all your money pages from the homepage for additional linkjuice/power? No. Just link naturally – like my survival knife site. I wanted to just mention that Dave’s Cheap Bikes is using the Catalyst Theme which is no longer being supported (or support ends soon). The developers decided to partner with StudioPress and the Genesis Theme (solely working converting their Dynamik Child Theme from Catalyst to Genesis). I used to use Catalyst, and to be honest, I love the new setup with Gensis being the parent theme for Dynamik. Because of this, it seems Dave is not really staying up to date on his site. Just thought I’d point that out. Might be another way to identify potential “active” Webmasters. Hey Perrin and Spencer, congrats on another great post. 1. If you find a top 10 that have many niche sites e.g.3+ niche sites. Would you still go after this if everything else about the keyword is good? Or can things sometimes get to crowded? 2. In relation to the LTP Include/Exclude feature, it would be handy if you could apply a single word to all of your keywords rather than entering it for each individual keyword. E.g. Include ‘best’ for all the 5 keywords I want to research. Instead of having to type it in for each of the 5 keywords. It might be a good idea, before committing to a keyword, to run it in Google Trends as one last check in your due diligence process. I’ve come across several keywords that are a dying breed. Another awesome post, thanks Spencer. And also Perrin is doing a great job and is a great learner. Even, I learned a lot from this post. I know a lot people (including me) who are reading your posts and are willing to building online business but just don’t have time for doing this, so we all are expecting a post explaining how to outsource the system. I started a niche site about 2 months ago. After one week, my site (primary Keyword/page) was ranking on the 3rd page of google, yahoo and bing. 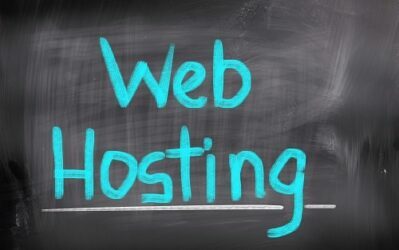 I changed to a new web host for all my sites. Pls what do you think might be the problem with this site? Hope to hear from you sir. Could it be the location of your host server? I have purchase a copy of Long Tail Pro and have been learning to use it. Trying to get a good keyword and also learning from your niche project. It is really a good way to learn for newbie like me. I have few questions. Google have announced the Hummingbird search formula. How would like impact the search? Will the same method that used it the niche project still can be apply? And also will this hummingbird impact Long Tail Pro search? Hummingbird doesn’t change anything for how I build sites. This is evidenced by the fact that Hummingbird rolled out over a month ago, and my case study site (bestsurvivalknifeguide.com) is still ranked #1 in Google. Just follow the case studies I have on this site…the method is the same. My understanding is that Google’s Hummingbird will remove our access to the keyword data with search becoming ‘100% not provided’. Surely this means that in late 2013 / early 2014 we will need to move away from the current method – and perhaps Long Tail Pro won’t work either? This looks pretty serious to me. What are your plans for Long Tail Pro? Do you intend to move to Bing’s API? Don’t get me wrong, I love LTP – but I’m seriously concerned that google is closing the loop and that means we’ll need completely new methods to find niche sites. What’s your take on this? I think you are misunderstanding. Google is still providing keyword data via the keyword planner. Long tail pro will continue to function. You just can’t see the keyword searches via Google analytics. The Hummingbird update is something completely different. This doesn’t change the importance of doing keyword research or Long Tail Pro at all. Hi Perrin great vid. Question, what if in the top 10 results in google for your kw, the results are all retail stores for a particular product? ie walmart, sears, or other online stores that sell the product. Can you still go after that keyword? Google on Thursday announced one of the biggest changes to its search engine, a rewriting of its algorithm to handle more complex queries that affects 90 percent of all searches. In video the keyword “best way to remove ear wax” has an authoritative website WebMD with page rank 4. My question is how to look at competition when there are 1 or 2 pages from page rank 4, 5 sites in the niche. Should we set a limit no page rank above 3 ? No; look at the others sites that you think you can beat (the lower comp sites). I am having trouble getting started with LTP. I need to get my software registered but I can’t seem to reach the license servers these last few days. I have tried to send emails to there support team but they keep bouncing back to me. I also tried to use there support ticket function on the site and all I get is that the server cant be reached. Is anyone else having issues like this? Hey Jack – I apologize for the issues – we have been having some server issues, but everything should be back up. Your support tickets should go through now as well. How do we handle new google Algorithm ? Again great content! I’ve been following you for a while now and use LongTail Pro Platinum. I can still get a lot of good information from this post. Good luck to you and Perrin on making this project a succes! Great Video Spencer. I think I found a good niche and i noticed that the main KW makes 4400 (theres a niche site there, which is ranked 2nd and only .6 old), but if i make this a secondary keyword, I can target about 10000 results with similar second page keywords. Theres another set of accessories which I can target and thats an additional 8000. All of these are low competition, and I’m not even hitting any long tail keywords yet. Going to start building out that first keyword, and if it goes well I think i hit a home run. I’m loving this series and will be following along as you work with Perin, probably just doing whatever your coaching him on because it is really good advice. I really want to know what keywords are you selecting. This is perhaps the most important part and it’ll determine everything. Perrin, I am so rooting for you, and you are crushing it! I am really happy to see you progress so much to be able to access keywords so well. I love this public niche site project – thanks for doing it. To you and Spencer’s continued success! I have found a keyword on LTP that has over 33,000 local searches a month and a KC of 25. It looks like a good keyword, ie not product/educational etc. Lots of forums in the top 10. However the advertiser competition is low. In fact a google search reveals no adverts. As it isn’t a product keyword Amazon affiliates isn’t really an option. It seems a shame with so many searches a month to pass it by. Any suggestions about monetizing the site? You can always use Google adsense, there will still be advertisers, but they may not be targeting your exact keyword, probably will be low earnings – but worth a shot. Thanks for sharing this, great work. I am interested in building a few sites and seeing how it goes, however I am not based in the US. I am in Australia/Indonesia. Is there any reason why I shouldn’t follow these same rules and target US traffic? You talk in the video how the stats you and Perrin pull up in LTP sometimes slightly vary becos of your different locations. How would my non US location effect the results. Thanks Spencer. You should be able to follow the exact same rules. There is no reason you can’t rank a website; doesn’t matter where you live. Awesome thanks Spencer for the reply!! Hey Spencer.. I found a really cool niche keyword ,, it has an average KC of 34 and i see four sites with less than page authority of 30 and seven pages with less than 30 juice page link.. also i could see 3 niche sites on the first of Google however all of the other pages are large authority sites..the keyword gets a 1900 exact search volume per month .. is the keyword worth going ??! .. and yes, another thing which bother me is that if go to page number 2,3,4 ( and so on ) of Google for this particular keyword, i could see numerous other niche sites competing for the same keyword..